Summary: In the first inning RR managed a decent total of 153 for the loss of 5 wickets in 17.5 overs as the match got interrupted by rain. By the time the match restarted Duckworth Lewis method was applied and Delhi Daredevils was given a target of 70 runs to be made in just 6 overs. DD could manage just 60 runs in 6 over at the loss of 4 wickets, giving Rajasthan Royals a win by 10 runs. Things didn’t quite go in favour of Delhi Daredevils once again during their last IPL 2018 match against Rajasthan Royals. DD won the toss and they chose to field. 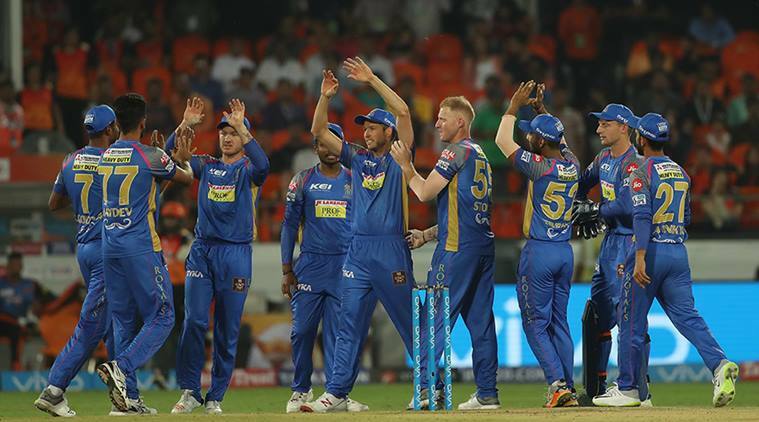 Rajasthan Royals came across as a confident team during the first inning at their home ground of Sawai Man Singh Stadium in Jaipur. The inning was lead from the front by the captain Ajinkya Rahane who was the leading run scorer for his team at 45 runs off 40 balls. Sanju Samson (37 runs off 22 balls) and Jos Buttler (29 runs off 18 balls) were other key batsmen for RR who brought stability and accelerated the scorecard. At the loss of 5 wickets Rajasthan Royals managed 153 runs in 17.5 overs. 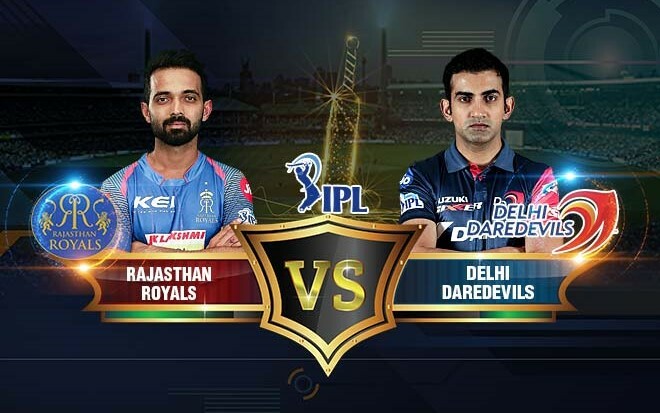 In response Delhi Daredevils could hardly do anything as they were limited by the DL method, which came into play due to prolonged rain between the two innings. DD were subjected to a target of 70 runs in 6 overs, but they could only manage 60 runs for the loss of 4 wickets and the inning was over before anyone realized. The bad luck of Delhi Daredevils continued on Wednesday as they faced their second consecutive loss and are yet to have their points ticking. RR, on the other hand, will now certainly be more relaxed with a victory. They showed confidence in the match and were awarded by some good luck as well! Next articleIPL Match Today: SRH Pulls Off Victory over MI on the Last Ball!